All kind of special flexible connection pieces, copper or aluminum. Gecsa manufactures all kind of special flexible connection pieces; copper or aluminum; thin plate, sheet, cable or strand; tin, silver-plated or not covered; from 10 mm2 net section on, without limits in size. Movable parts in welding machines. Connections between transformer and bus bars. Connections between mobile and fixed conductor parts. 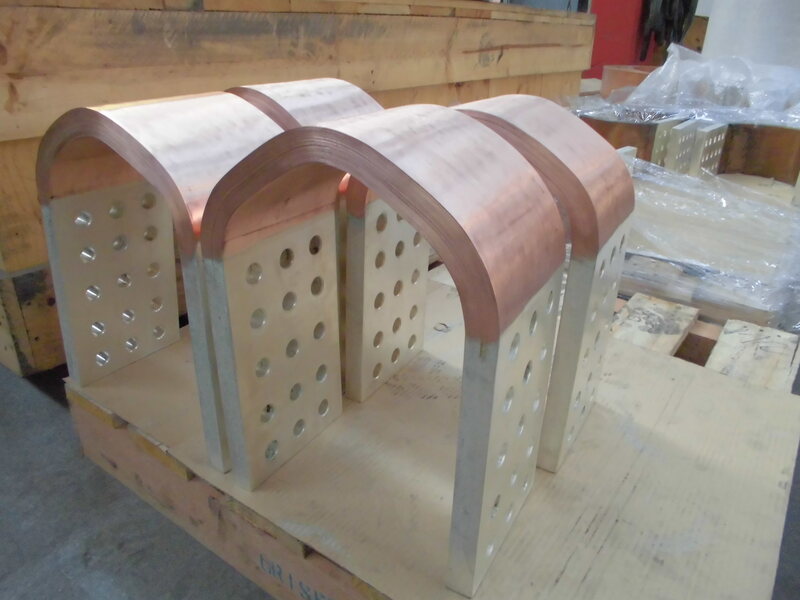 Pressure and temperature welded thin plate terminals; brazed, welded or pressure fixed terminals in cable or strand connections. Bi-metallic connections Copper-Aluminum, Copper-Steel, Aluminum-Steel.